More than once this week, I’ve seen a post on social media or heard a friend talk about the grief they feel as they look at the world around them. We are living through some hard days–that’s not a new thing, but it’s a true thing. One of the reasons we send you this little collection of links each week is to remind you that you’re not alone in the world. We are on your side, and so many others out there are as well. 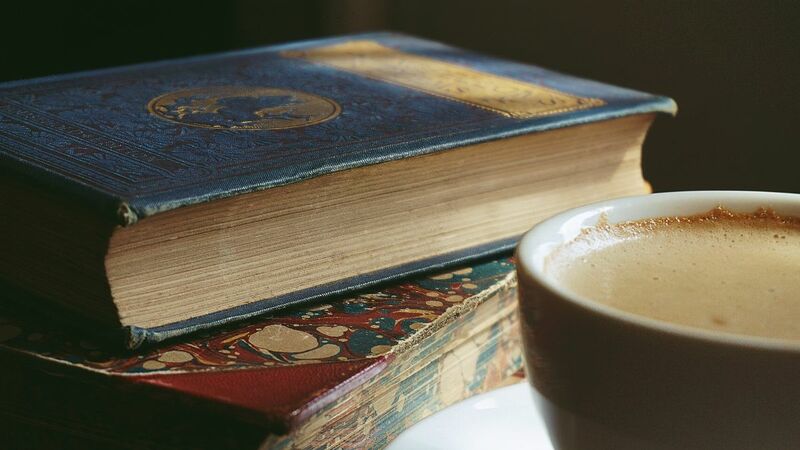 Margaret Feinberg explores the hunger that goes beyond physical appetite and what Scripture has to say about it. Maybe you, too, know what it’s like always feel hungry. Hungry for food, hungry for seconds, hungry for an extra scoop of frozen dessert. All too often I’ve found myself at a table and discovered it as a shameful place, rather than a sacred space. Yet God never intended the table or the food we eat to be a source of shame.Rather a place that with each bite we would discover God as our sustainer, our provider, our way maker. We hunger to know and to be known. We hunger for others to accept, understand, and adore us. We hunger to have someone to love and cherish with our affection. Ruth at Living Well, Spending Less shares the life lessons she’s learned as her daughter who challenged everything has been growing up. It was a great vacation–one of our best ever–and I was reminded of just how much I love this age, the age where my kids are old enough to be a little independent, but still young enough to still love spending time together. Old enough to put themselves to bed, but young enough to still like being tucked in. Old enough to do the dishes, and young enough to not have a bad attitude about it! It certainly hasn’t always been this way, especially not with my youngest daughter, Annie. Our friends over at Slugs & Bugs asked on Facebook this week what people were reading with their kids. The list that came out in the comments is pretty great. Just goes to show that people with good taste in music tend to have it in all areas! 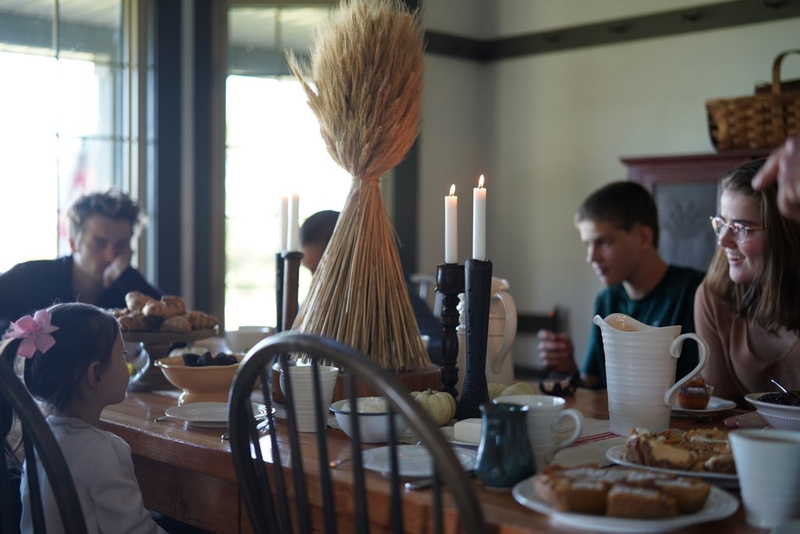 The Fuller Youth Blog always has good thoughts for parents of teenagers on helping your kids engage well with technology, social media, the internet, etc. Whether you’re in that stage now or looking ahead to it, this piece has something for you. On a fundamental level, most of us who serve or parent teenagers would agree we want to walk with them in the complexities of technology from a place of loving compassion and empathy. And yet, so often our gut response to students’ constant use of their phones, and particularly their affinity for social media, is exasperation and frustration. “Get off your phone!” comes out of my mouth more often than I’d like to admit. I really do want them to get off their phone when they’re at youth group, but there are better ways of engaging with them about it. Melissa Kline helps us look beyond the current dreary days. Winter skies are heavy and seem to press down a dreary pessimism that is difficult to lift. The skies are gray, the birds are gray, and the ground is muddy. The biting air gnaws at our bodies, bringing aches and sickness to weary our souls. Some days it is difficult to believe that sun, warmth, or health will ever return. I think of these as books for boys even though girls love them too, because they accurately reflect the things young men care about. Erica over at What Do We Do All Day recommends the game Donuts as her game of the month. Check it out! 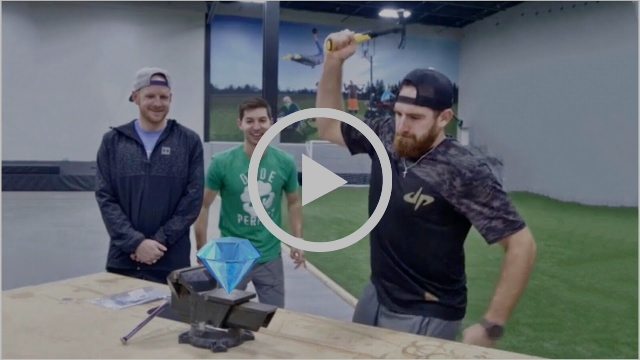 The guys at Dude Perfect started a series called “Overtime” last year, and it’s full of entertaining bits, like: can you crush a diamond with a hammer? Thanks for reading. We’re on your side.